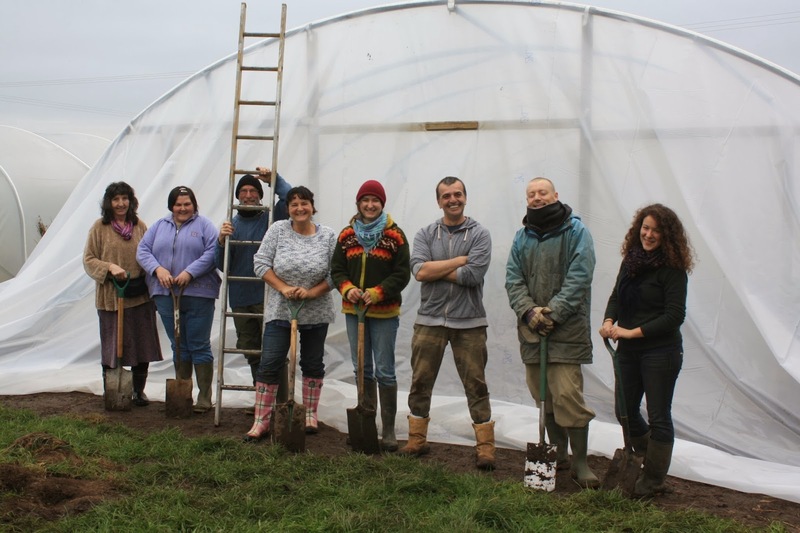 Bosavern Community Farm would like to wish all its volunteers, supporters and customers a very enjoyable New Years Eve, and a happy and prosperous 2014. The new farm shop has now been open for almost one month, and is situated inside the packing shed opening off the farmyard. 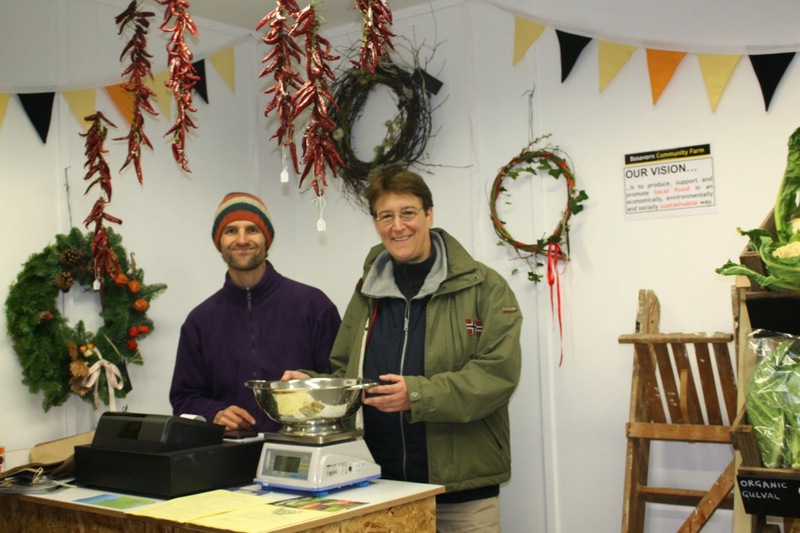 We aim to open the shop from 10 am till 4 pm every day except Sunday, although this depends on the availability of volunteers. 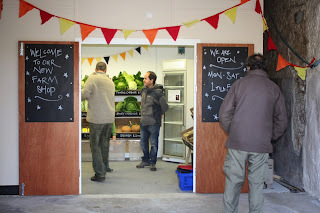 If on some days and at some times the shop is not open, the gate stall will be (between 7:30 am and 6 pm), with its more limited range of produce - including our eggs of course! Please park in the yard when visiting the shop.We are now stocking fresh bread from Nick, a range of fresh veg from this farm and other local producers, our free-range eggs, St Just calenders, honey, candles, chutneys, frozen turkeys, juices, soaps, and other local produce. Advent Fair, farmers market, and shop opening. 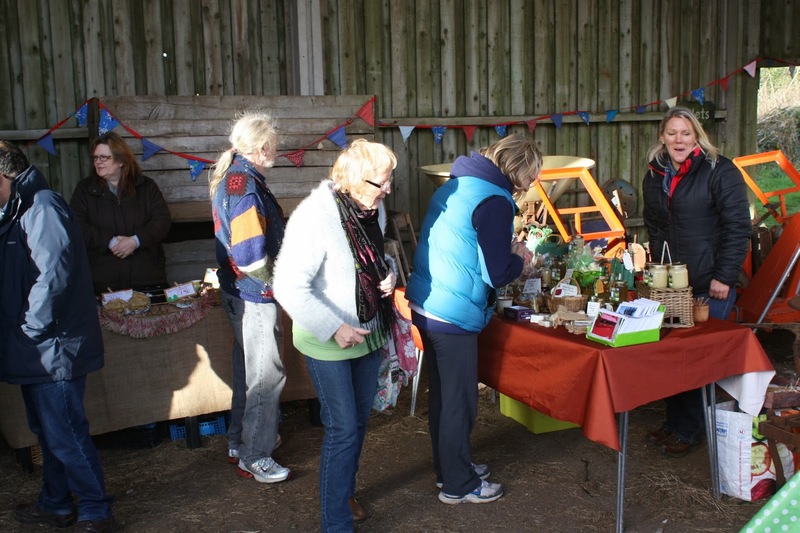 Some of the stalls in the open barn - pies, cakes, honey, candles etc. 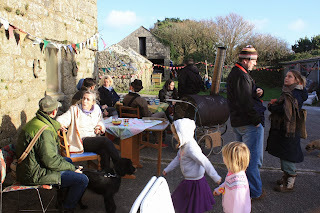 The cafe in the farmyard. Some of the first customers to the new farm shop. Fresh produce for sale in the farm shop, all from the community farm except the celeriac. Hugh and Ena getting the hang of the new till and scales. More farm produce for sale in the shop. 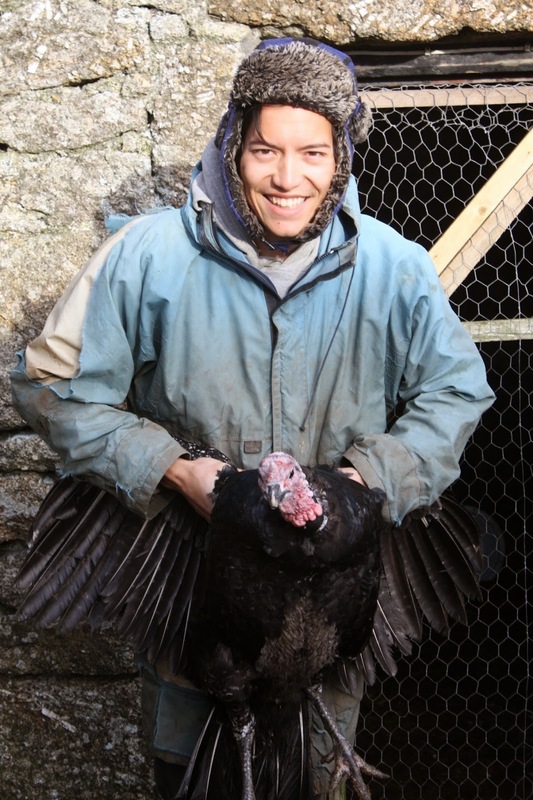 Many thanks also to Gustavo and Lucas, two chefs from Brazil, who wwoofed with us for 3 weeks in December - we hope you had a good Christmas at your next farm. Gustavo at the farm gate stall. Lucas helping on turkey slaughter day. 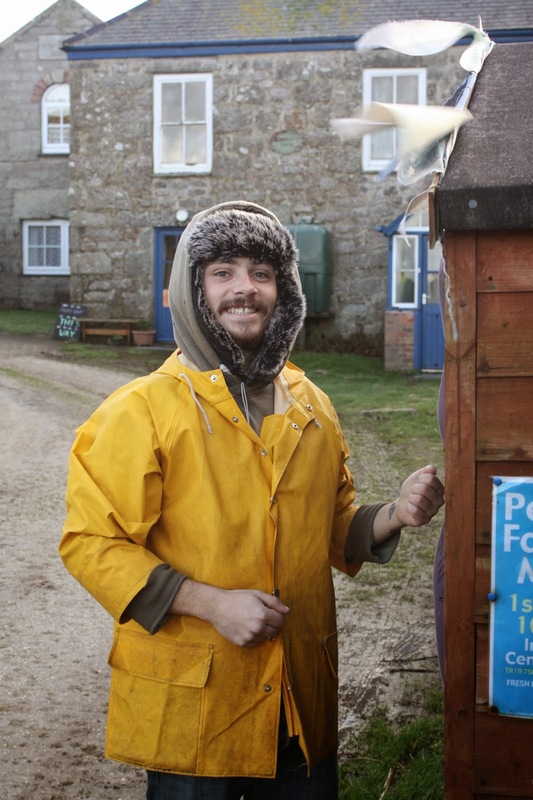 Chris, who wwoofed with us in September, came back for 7 weeks through November and December, leaving just before Christmas. 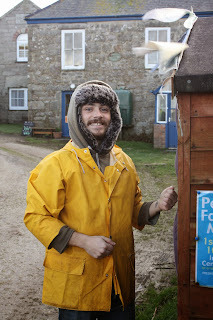 Thanks Chris, you are a star, we really appreciated your efforts on the farm and in the house, and hope you had a good Christmas. 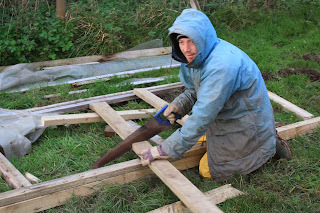 Chris building a door for the polytunnel. 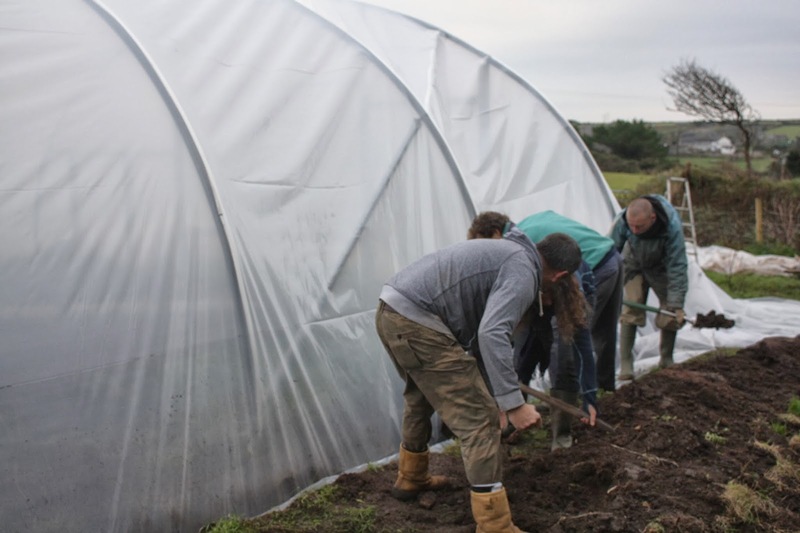 The AGM of Bosavern Community Enterprises (or BCEnts) the body that oversees the running of the community farm, is taking place tomorrow night (Thrusday 19th) at 7pm in the Old Town Hall, near the big Methodist church in St Just. Everybody is welcome to attend, although only members can vote. 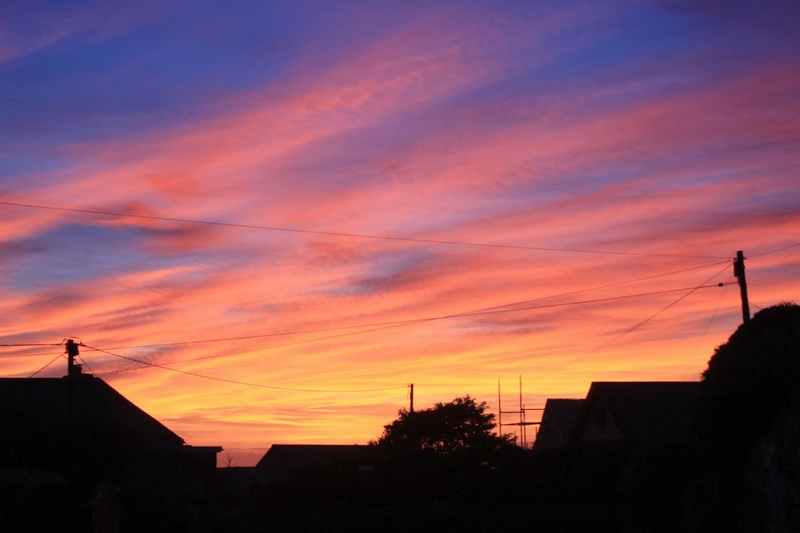 We hope to see as many people there as possible, so come along and make your voices heard. 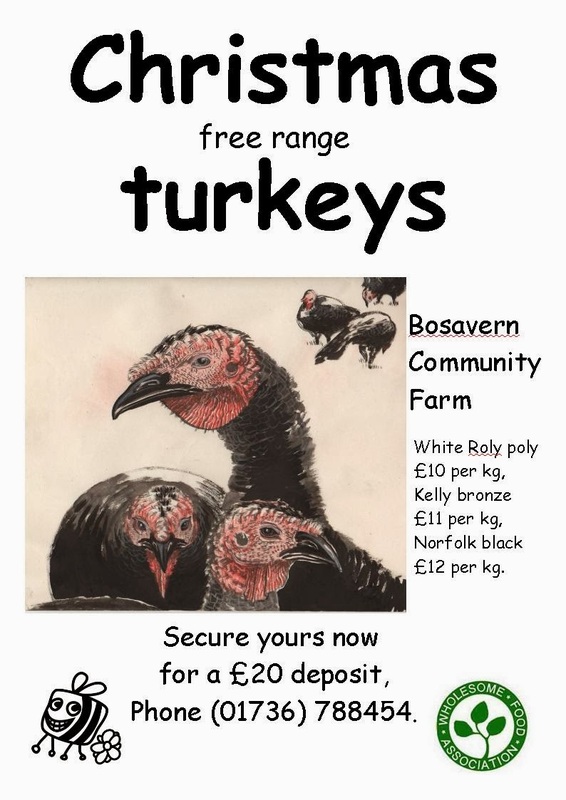 We still have some turkeys left for Christmas, so if anybody still has not ordered a turkey and would like to do so can they please phone us on 01736 788454 as soon as possible! 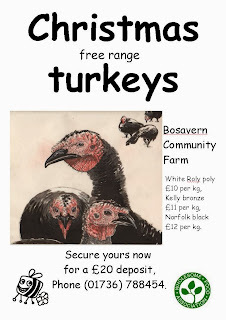 They will be ready to collect, fully prepared, from the farm any time on Monday 23rd December. 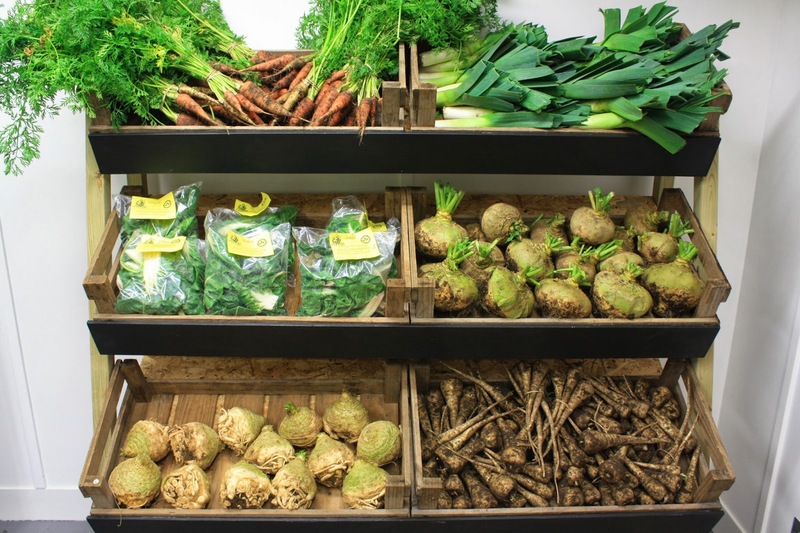 We'd like to wish all our veg-box customers a very merry Christmas, and a happy new year. 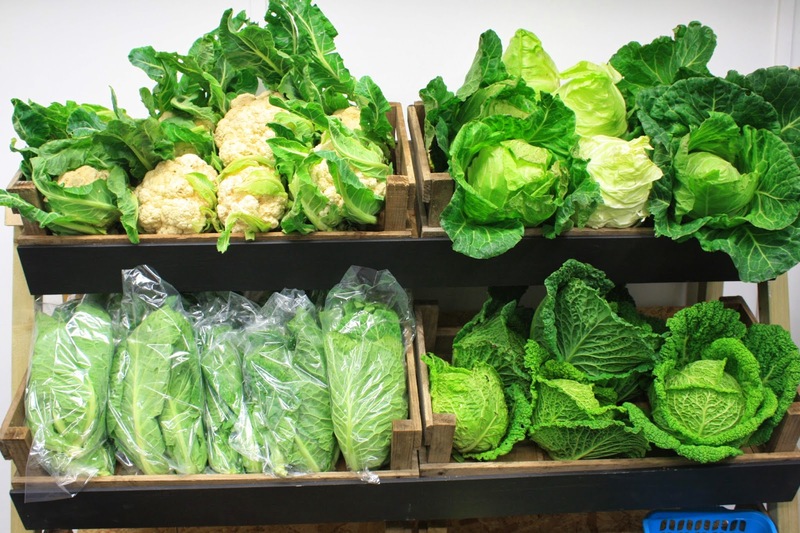 We will be producing veg boxes as per normal on Friday 27th December, so if any of you are away for Christmas and would not like a veg box that week can you please let us know as soon as you can. Many thanks, and have a great festive period! After two weeks spending every spare moment removing the damaged old cover and rotting timber from our old polytunnel, and rebuilding the wooden sections, last Thursday 28th November a team of volunteers helped us get the new skin on. 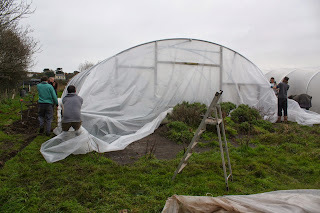 By the end of the day the skin was re-trenched and battened into place, ready to weather the weekend's strongish winds. The doors and windows went on on Monday, and the finishing touches, including all the planting and sowing, were completed today. Applying anti-hot-spot tape and rolling out the plastic cover. 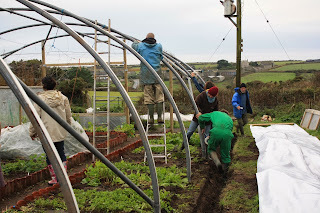 Tightening the skin over the polytunnel frame. Shovelling earth into the trenches to hold the plastic in place. The reskinning volunteer team - Willow, Anne, Paul, Emma, Camille, Peter, Chris and Rebecca. 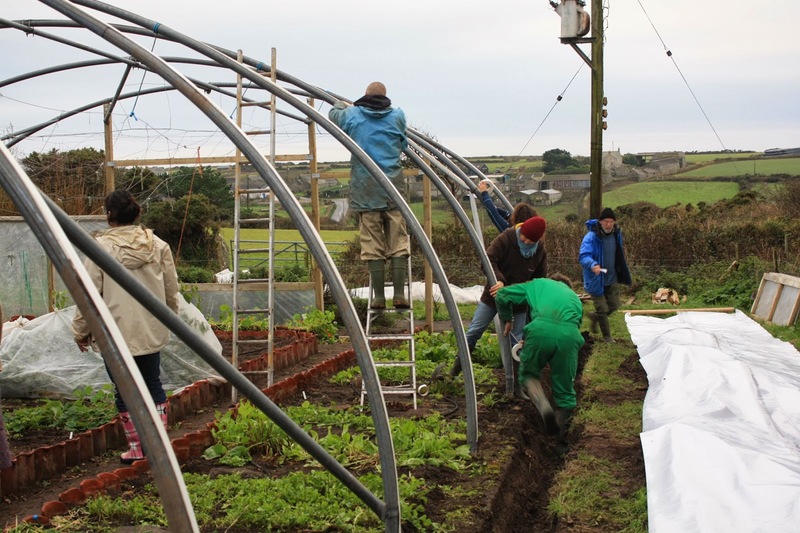 Many many thanks to all our wonderful volunteers who gave their time to help with the re-skinning. Heaps of thanks also to Rebecca, from the USA, who left yesterday morning for Dartmoor after helping on the farm for one month. Rebecca helping to trench the polytunnel. 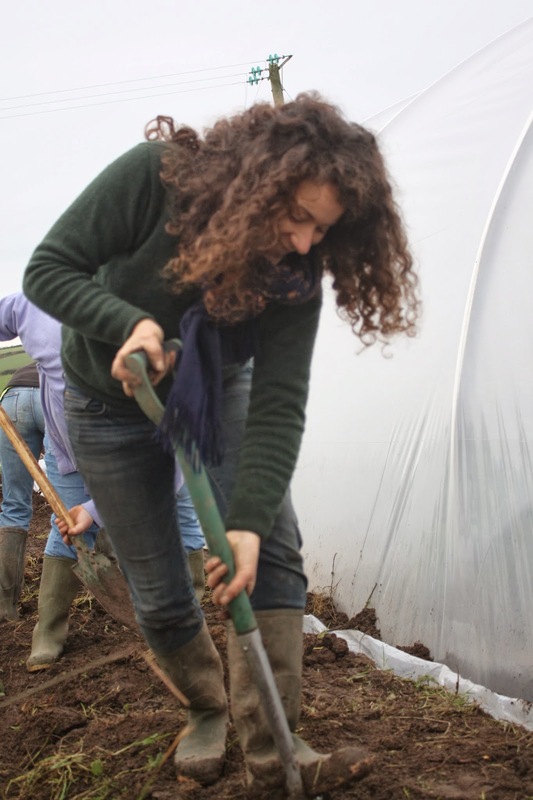 Many thanks to Camille, a French agronomy student who has just left after wwoofing for two weeks on the farm. 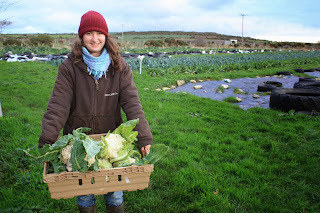 Camille bringing cauliflowers in from the field.